Our amazing Hackney Half team share their reasons for running in support of BID. Eight runners have decided to take on the Hackney Half Marathon on 19th of May 2019 in support of BID. Together they are hoping to raise over £2,000, which would be enough to power our advice line for two whole months. The Hackney Half Marathon returns between May 17-19 as an upgraded three-day ‘Festival of Fitness’ with live entertainment, markets, fitness activities and classes on the Hackney Marshes. This is the first year BID has been a charity partner and we are delighted to have eight people running for us. “In my youth I was an active runner but as my wife will attest, I am no longer the athlete I once was. I see the Hackney Half as the perfect opportunity to get back pounding the pavements, to raise money for a great cause and maybe stop the creeping onset of middle-age-spread at the same time. Adam also stressed the importance of fundraising for a charity whose impact in people’s lives is many times greater than its size. "I’m running the Hackney Half for BID because the charity is doing great work fighting the injustice faced by marginalised people. BID speaks volumes to the direction in which I hope the UK will move towards: A place where migrants and refugees who have who have fled their homes countries for safety and protection are treated humanely and with compassion. Millie added: “BID is doing really important work for people who have been detained or imprisoned for no legitimate reason. This is inhuman and goes against basic human rights. There isn't enough exposure in the media and many people are unaware of the immoral way the UK is treating immigrants. BID treats everyone with kindness and empathy, our country as a whole could learn a lot from the morals behind this charity. “I started running a couple of years ago and never looked back. Everyone at Wilsons, where I work as an Asylum and Immigration lawyer, is a keen runner and I got dragged into the running mania; running the Hackney half was an obligatory step of the Wilsons runners training. 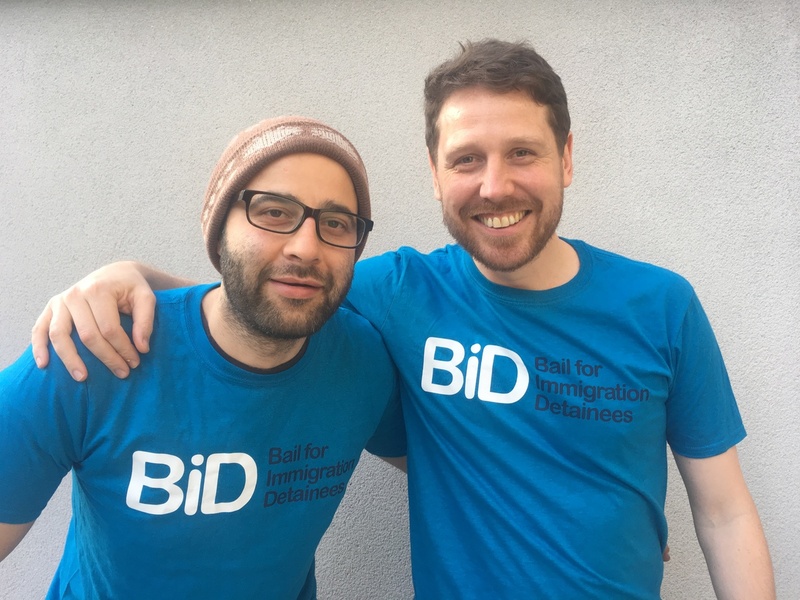 Bail for Immigration Detainees (BID) is a registered Charity No. 1077187. Registered in England as a Limited Company No. 03803669. Accredited by the Office of the Immigration Services Commissioner Ref. No. N200100147. We are a member of the Fundraising Regulator, committed to best practice in fundraising and follow the standards for fundraising as set out in the Code of Fundraising Practice.